Scoring the best Cyber Monday bargains — and making sure they're actually bargains — requires a little bit of (virtual) legwork. So check out our picks for great deals and follow our four tips to help you land the holiday deals you really want. 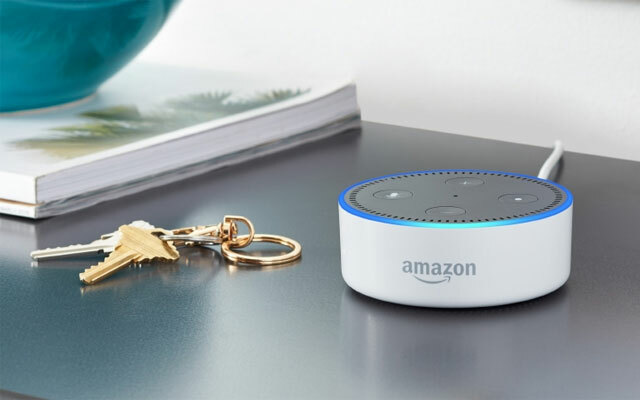 Amazon has many of its devices on sale, including its Alexa-enabled Echo Dot 2nd Generation (now $29.99, down from $49.99), the Echo Plus (now $119.99, down from $149.99 and you get a free $15 Philips Hub smart light bulb), Echo Show (now $179.99, down from $229.99) and the Echo 2nd Generation (now $79.99, down from $99.99). SmartThings Home Monitoring Kit (now $149, down from $249) – Get a hub, two multi-purpose sensors, a motion sensor, and an outlet all for the low price of $149. August Smart Lock Pro (now $179.99, down from $229.99) - Unlock your door without a key, track who comes and goes, give access to friends and family, and keep your existing lock and keys. Plus, August now has auto unlocking technology that senses when you approach your door for a hands-free experience. Schlage Sense Smart Deadbolt with Camelot Trim (now $160.00, down from $229.00) - This smart lock works with Amazon Alex (hub required) and is equipped with built-in alarm technology, remote access, and a fingerprint-resistant touchscreen. Nest Learning Thermostat 3rd Generation (now $199.00, down from $249.99) - This smart thermostat will make sure your home is toasty when you come home while saving money by automatically turning down when it senses no one is at home. Plus, it connects with many smart home systems, including Samsung SmartThings, Amazon Alexa and Google Assistant. TP-Link Smart Plug (now $29.99, down from $39.99) - Control any device that plugs into an electrical outlet with this smart plug. Better yet, it works out of the box with Amazon Alexa and Google Assistant - no smart home hub required. You can also get the TP-Link Smart Plug bundled with the Echo Plus for $124.99, a $24.99 savings. Philips Hue White Smart 4-Bulb Starter Kit (now $59.99, down from $99.99) - With four smart bulbs and a hub, you'll get a jump start on smart lighting with this kit. It's compatible with Amazon Alex, Samsung SmartThings, Google Assistant and more. Ring Wi-Fi Enabled Video Doorbell (now $99.00, down from $179.00) - See, hear and speak with anyone at your door with your smartphone, tablet or computer. Samsung Connect Home AC1300 Smart Wi-Fi System 3-Pack (now $249.00, down from $379.99) - This whole home Wi-Fi system has a SmartThing hub built-in to kickstart your smart home setup. iRobot Roomba 652 Robot Vacuum (now $249.98, down from $374.99) - This robotic vacuum cleaner uses a 3-stage cleaning system to ensure it removes everything from small particles to large debris from carpets and hard floors. Google Home and Google Mini – If you’re looking for an easy way to smarten up your home, pick up the Google Home for $79.99 ($50 off) or Home Mini for just $29.99 ($20 off). The deals are available in Verizon stores or on Verizon.com. Anova Culinary Sous Video Precision Cooker (now $84.15, down from $149.00) - This set and forget kitchen gadget ensure perfectly cooked fish, vegetables and meats. Petnet SmartFeeder, Automatic Pet Feeder for Cats and Dogs (now 99.99, down from $149.00) - This 2017 model features a stronger feeding wheel, better bowl connection and voice control through Amazon Alexa. Plus, you can sign up for automatic food delivery, based on when the Petnet senses it is running low on food. LG OLED TV B7A Series 55-Inch (now $1,499, down from $2,299) – Like last year, now is the best time to get a huge money-saving deal on LG's award-winning OLED line. 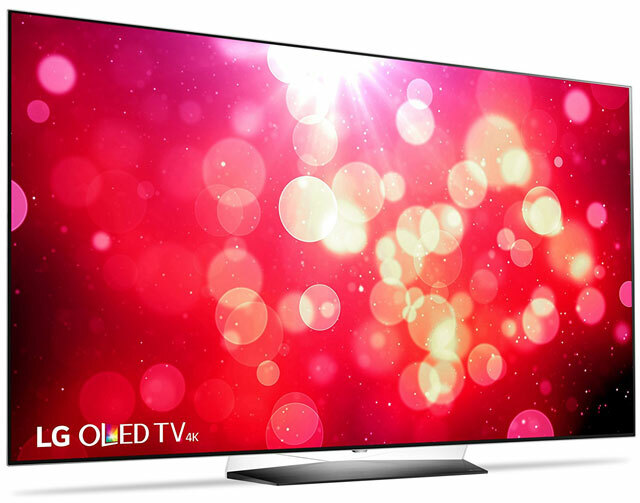 The 65-inch model is also on sale, $1,000 cheaper at $2,299 (regularly $3,299). Samsung UN65MU8000 65-Inch 4K Ultra HD Smart TV– (now $1,297.99, down from Samsung also drops the prices on its 4K Uultra HD TVs, starting with the UN65MU8000 model. The thin-bezel smart LED TV has gone from $2,199.99 to $1,297.99, saving you $900. And little sis Samsung 55" 4K UHD Smart TV UN55MU8000 is seeing a 25% price drop to $897.99 from $1,197.99. Roku Streaming Stick+ (now 42.49, down from $69.99) - These days, no home entertainment system, big or small, is complete without a streaming device and the Roku Stream Stick+ is one of our favorites. The Roku Express (now $25.49, down from $29.99), Roku Streaming Stick (now $42.49, down from $49.99) and Roku Ultra (now $84.99, down from $99.99) are also on sale. Samsung Galaxy S8 (now $574, down from $724) - No trade-in required to cash in on this deal on the Galaxy S8, as well as $150 off the Galaxy S8+. The Galaxy Note8 is also on sale for $799, down from $949. If you have a phone to trade in, you can get up to $400 off at Samsung.com. Huawei Mate 9 (now $399.99, down from $499.99) – Huawei may not be a household name, but its flagship Mate 9 is a worthy contender in the smartphone space and certainly a bargain. You'll also find the Huawei Honor 6X for $149.99, down from $199.99. Lenovo Tab 4 10" (now $125.99, down from $179.99) - The powerful Android tablet is designed for use by the whole family, with the ability to establish multiple accounts, including kid accounts that provide curated access to apps and online content. 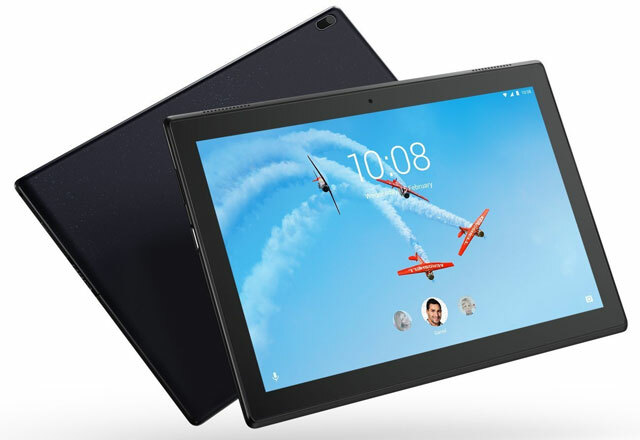 The 8-inch Tab 4 is also on sale, now $109.65, down from $129.99. Amazon Fire HD 10 – Amazon’s $50 discount on its latest Amazon Fire model may be the best deal on its tablets this year, dipping the 32GB device’s price down $99.99 (from $149.99). For gifts $50 or less, consider Fire HD 8 ($49.99, down from $79.99) or Fire 7 ($29.99, down from $49.99) instead. ASUS ZenBook 3 (new $999.00, down from $1,299) - This ultraportable 12-5-inch laptop has plenty of power with its Core i7 processor and 16BG of RAM, charges to 60% in 49 minutes and weighs a mere 2 pounds. It's the perfect traveling companion. Microsoft Surface Pro – Save up to $329 on Surface Pro bundles with Microsoft’s deals. Its Surface Pro Intel Core i5/128GB SSD + Black Type Cover bundle offers $229 in savings, and for a larger SSD and more RAM, the 256GB SSD bundle offers $329 in savings. Dell Inspiron 13 (now $379, down from $599) – As far as laptops, Dell’s Inspiron 13 i3378-3340GRY-PUS with Intel Core i3 and 1TB storage is just the ticket for an affordable laptop tablet. ASUS C101PA-DB02 Chromebook (now $249, down from $299) - This affordable Chromebook comes with extras, including a 10-inch touchscreen and the Chrome Web Store, for access to millions of Android Apps. HUAWEI MateBook E Signature Edition (now $499.00, down from $799.99) is a 12-inch Windows 2-in-one notebook that comes with a full-size folio keyboard (like the Microsoft Surface), a 7th Gen Core M3 processor and a year of Office 365. And, it weighs a mere 1.4 pounds. TP-Link Deco M5 Whole Home Mesh WiFi System (now $199.99, down from $299) - Not only does the Deco M5 cover your whole home, it has built-in security software, courtesy of Tend Micro. Bose QuietComfort 25 Acoustic Noise Canceling headphones (now $179.00, down from $299.00) - Award-winning noise canceling headphones for a very low price. Bose also has its SoundLInk around-ear Bluetooth headphones on sale for $199.00, down from $229.99, and its SoundSport In-ear Bluetooth headphones on sale for $99.00, down from $149.00. SoundPEATS SS-Black Bluetooth Headphones ($19.49, down from $49.99) - These neckband design Bluetooth headphones has magnets to store the earbuds when not in use. Fitbit Blaze (now $149.00, down from $199.95) - The Blaze performs all the tracking you'd expect plus it displays video workouts, call, text and calendar alerts, and multi-faceted clock faces. All that and it gets five days of battery life. Garmin Vivosmart HR Activity Tracker (now $69.95, down from $129.99) - This solid activity tracker tracks steps, distance, calories, heart rate and displays texts, incoming calls, calendar alerts and more. Apple Watch 2 Series Aluminum Case ($269, down from $299) – Whether it’s the aluminum model or the higher end steel case you want, Best Buy is offering up to $120 in savings on the Apple Watch 2 series. Take $30 off the typically $329 42mm Aluminum Case model or $120 off the $549 42mm Stainless Steel Case model. Jackery Bolt 6000 mAh Portable Charger (now $22.99, down from $69.99) - Built-in lightning and microUSB cables make it easy to charge on the go. Not find the deal you're looking for? Use the following tips to ensure you're getting the best price. For browsing on Cyber Monday, you’ll want a real-time price comparison tool. Browser add-on programs search for the lowest price on items as you browse, so price information is always fresh. We like InvisibleHand, a browser add-on program that works with Firefox, Chrome or Safari to tell you about the lowest prices as you shop. When you install InvisibleHand, it will pop up a small bar at the top of your browser to tell you if there's a better price at another store for the item you're looking at or if you've already got the best price. Invisible Hand supports almost 700 retailers and almost 600 airlines, including many of biggest names. One tip: Be patient. Since InvisibleHand searches for prices as you shop, it may take a minute for the results to show up. If the item you're seeking isn't on sale, you can set up a price tracker to alert you when the price drops. 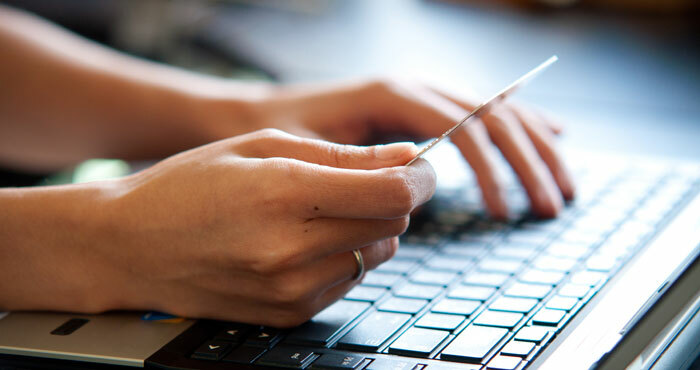 Our favorite sites for this are Shoptagr and Covvet, which add a button to your browser that lets you save items you find while you're shopping online. Once you've saved the item, you'll get email alerts when the item goes on sale. Covvet also shows you a listing of the other items people are "covveting," which is great if you're looking for gift ideas. On the downside, neither site works with every online store, but they do work with hundreds of the most popular sites. So set one or both or these up, and then head to your favorite online stores to make a virtual shopping list of items you want to buy. If you don't feel like digging through every retailer's sites to find the best deals, check cybermonday.com, which aggregates the best deals on the Internet, especially, you guessed it, Cyber Monday specials. Don't get caught up in the Cyber Monday shopping frenzy. Retailers often bump up regular prices on items before the holiday sales season to make their new, low prices seem like a better deal. Check the manufacturer’s site to find the suggested retail price and see if the item is available on Amazon; you can use a price history tracker to see what the item has been selling for over the last few months. For a price history tool, we like camelcamelcamel.com. Simply plug the Amazon web address of an item into camelcamelcamel.com to check out the price history of that product. Or get the Camel browser add-on for Firefox, Chrome or Safari. For other sites, try Honey. Not only will you see price history for up to 120 days, but you can also set up price alerts. And, Honey works with Amazon, in addition to many other online retailers. One final Cyber Monday shopping tip: Be sure you consider extra costs like shipping and taxes, which vary from site to site and can make what may seem like the lowest price a lot less of a bargain. Sites like FreeShipping.org and RetailMeNot.com make it easy to find extra coupons and free shipping codes. Now, good luck and happy holiday shopping!